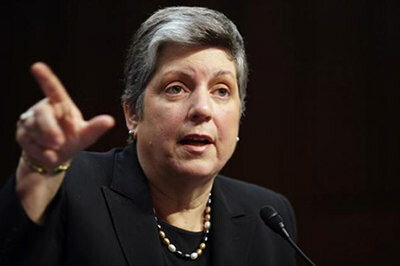 As the head of the Department of Homeland Security in the Obama administration, Janet Napolitano knows all about DACA. Though it was announced by President Obama, it was Napolitano’s agency’s plan. Now as the president of the University of California system, Napolitano feels DACA was repealed “capriciously” and by “unreasonable” executive whim. She’s a plaintiff in the first major lawsuit filed by a university to protect the Deferred Action for Childhood Arrivals (DACA) program and its hundreds of thousands of Dreamers. Hear excerpts from the Napolitano media call on this edition of Emil Amok’s Takeout. We also hear from Tom Wong, UCSD professor on his latest study on DACA recipients. Also we hear a Dreamer who admits he’s lost trust in government after the Trump decision. All that, plus I talk about what could happen in six months. Could Trump be so hateful of Obama that he can’t allow DACA to exist without rebranding it? Like his buildings, steaks, and other products? Is Trump’s problem his anti-Obama mania, not rule of law? If so, maybe he just wants to rename it Trump’s Action for Childhood Arrivals in six months. Also, we talk about Irma and hope all those in the Southeast will be safe as the storm moves through the area the next few days. Listen to Emil Amok’s Takeout here!